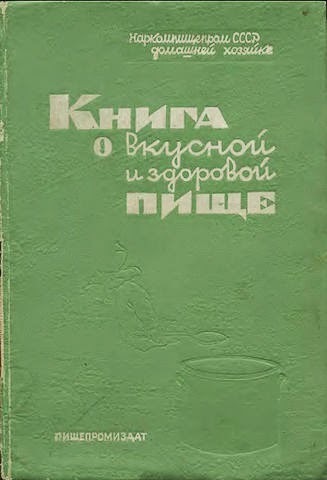 The Book of Tasty and Healthy Food (Книга о вкусной и здоровой пище) was first published in the Soviet Union in 1939, and was the most important Russian-language cookbook of its time, with over eight million copies produced since 1952. It reflected the promise of communism in the Soviet context – the promise that, in the Soviet Union, all citizens would be prosperous enough to eat tasty and healthy food. The reality, of course, was quite different, but The Book of Tasty and Healthy Food remains a fascinating look at food culture in the Soviet Union. Compiled by a team of food scientists, the book provided nutritional guidelines, sample menus by season, and instructions on proper table setting along with recipes for a variety of dishes. After having read Anya von Bremzen’s memoir Mastering the Art of Soviet Cooking , I was inspired to seek out Kniga – “The Book”, as it was colloquially called in Soviet homes – for myself. As none of the Historical Cooks read Russian, I needed to find this book in translation. 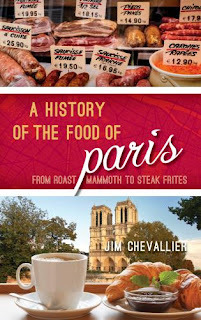 The 2012 English translation by Boris Ushumirskiy, however, includes only the recipes, leaving out the propagandistic asides which would be particularly interesting to food historians. Perhaps the translator did not wish to condone the Stalin-era pronouncements, or perhaps, given that new editions of Kniga were coming out every year, the editors wished provide English-language readers with a version that compiled recipes in various editions. It was a disappointment, however, after reading Mastering the Art of Soviet Cooking, to find the recipes without the “ideological sermonizing" which von Bremzen discusses when talking about her mother’s relationship to “The Book”. Nevertheless, the recipes and images in provide a rich portrait of Soviet culture as promoted by the government. Editing for Kniga was led by Anastas Mikoyan, who in the 1930s was head of the Soviet food industry. Mikoyan had traveled across the United States in 1936 to learn about industrial food production, bringing back with him techniques for manufacturing hamburgers and ice cream (Coca-Cola refused to sell him their syrup recipe). Unsurprisingly, then, the book’s illustrations promoted the use of canned goods such as peas and herring, much as the 1934 Livre de la Nouvelle Mariée included advertisements for Canadian-produced flour and sugar. 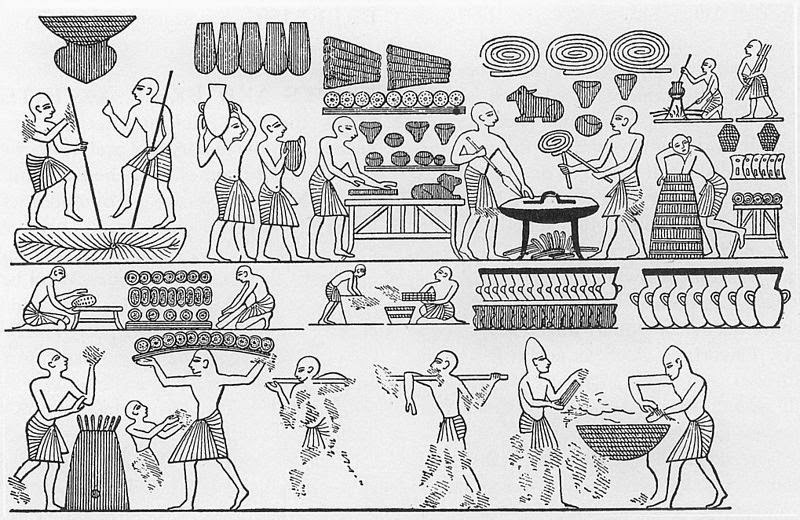 Although Kniga made no open reference to the food shortages of the early 1930s, it does encourage smaller meals, economy in cooking (making one broth that will serve for more than one variety of soup, for instance), and vegetarian lunches-- suggestions which indicate a need for moderation in consumption. The first edition of The Book of Tasty and Healthy Food, published in 1939, was, according to von Bremzen, proof of the USSR’s internationalist outlook in the pre-World War II years. By 1952, the book had been edited significantly to reflect Cold War sensibilities; a notable change was the lack of recipes from Soviet republics such as Georgia and Mikoyan's home of Armenia. Kniga promoted pan-Soviet cuisine, dominated by Russian culinary influences, rather than celebrating the diversity present in the USSR. Kniga was a cookbook designed for the masses. 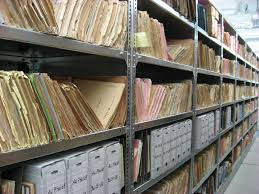 The instructions seem fairly simple, particularly when compared to the trend of elaborate food preparation seen in, for instance, the Betty Crocker cookbook, which was introduced in 1950 in the United States. The irony of a state-sponsored cookbook at a time when many families did not have regular access to tasty, let alone healthy food, makes Kniga particularly interesting. In her memoir, von Bremzen describes her mother Larisa learning to read from the first edition, then refusing to use it as a young woman increasingly disillusioned with the Soviet Union in the 1950s. Though Larisa was not among the thousands of emigrants who brought a copy of Kniga with them when they left the USSR, when von Bremzen presents her with a vintage copy for her American kitchen, she spends weeks recreating the recipes. While the recipes included may seem simple, it’s clear, as von Bremzen demonstrates, that the relationship of former Soviet citizens to this book is far more complicated. None of the staff at The Historical Cooking Project are descendents of former inhabitants of the USSR, so the recipes from Kniga don’t have the same nostalgic pull for us as it might for those who grew up in the USSR. However, by attempting to master the art of Soviet cooking ourselves, we’ll be able to gain a deeper understanding of what life was like for Soviet citizens in the mid-twentieth century.